Lexus has redesigned the NX 200t from the inside out, and the results are amazing. The new NX offers a sleek design with revamped lines and colours. It also houses a fresh interior that’s full of quiet details that thread the entire redesign together. With a retuned suspension and high-level tech that’s in tune with the driver, it’s hard to deny its appeal. Edmonton, say goodbye to the NX 200t and say hello to the NX 300. Take one look at the NX and you’ll immediately spot the changes for 2018. The front fascia is more aggressive and pronounced. The upper portion of the grille itself is more fluid and streamlined with the hood and doors. Even the fog lamps have been lowered to rest on the corner of the front bumpers. The back has also been refreshed to reflect the same design aesthetics as the front. Now the entire rear-combination tail lights illuminate when you put on the rear brakes giving it a more elongated and distinct vibe. The chrome-tipped exhaust tips are larger and a foot-operated sensor has been added to the hatch to make loading the trunk easy. 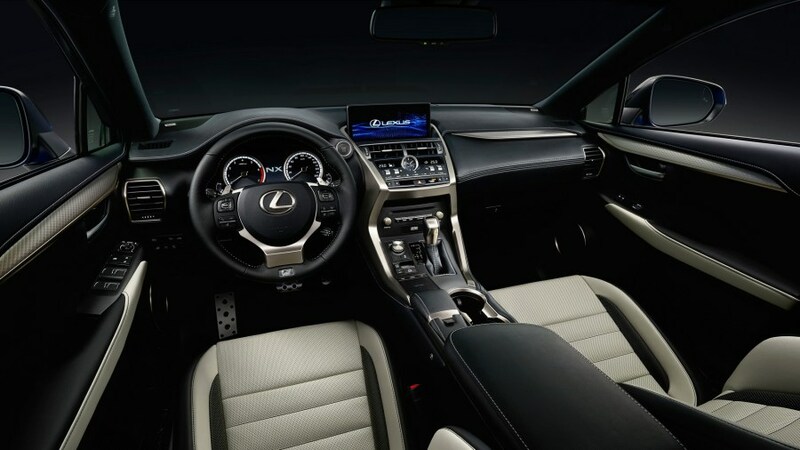 Lexus has introduced their latest generation touchpad on the NX 300. It allows users to access multimedia, navigation, and climate controls with ease. Like your smartphone, the touchpad is activated by your fingers as you pinch, slide, and select the graphics you need. Not only is the new touchpad much larger and much more effective than the previous generations, it allows you to access sub-menus when the screen has more than one option. Buyers familiar with the NX 200t’ screen will also appreciate the pronounced graphics. They’re all slight details designed to make your experience smoother and more refined while on the road. The all-new Lexus NX comes in eight luxurious colours including Rioja Red Leather and Ochre Nuluxe. The F Sport, the newest trim on the NX 300 offers more vibrant options like Flare Red for a sportier vibe inside. There are some remarkable differences inside the new NX that pay homage to Lexus’s affinity for detail. The analog clock is bigger and sports a cleaner design making it easier to read. All the controls now have a metallic satin finish and the control panel itself has four easy-to-use switches that make adjusting your interior settings a breeze. The center dashboard has also gotten slightly larger from a 7” to 10.3” with an 8” audio display monitor. The USB ports have been relocated to the center console for easier access. They also have a higher amperage for faster charging. And for an extra touch, the palm rests have been reshaped to be more comfortable for the wrists. Lexus has returned the NX’s entire suspension system for improved responsiveness and handling. And with new shock absorbers and Lexus’s New Adaptive Suspension, the NX has a cabin that reduces noise, vibration, and harshness every time you take it on the road. Even the engine itself is sportier thanks to Lexus’s Active Sound Control which reproduces the engine sound through the speakers. 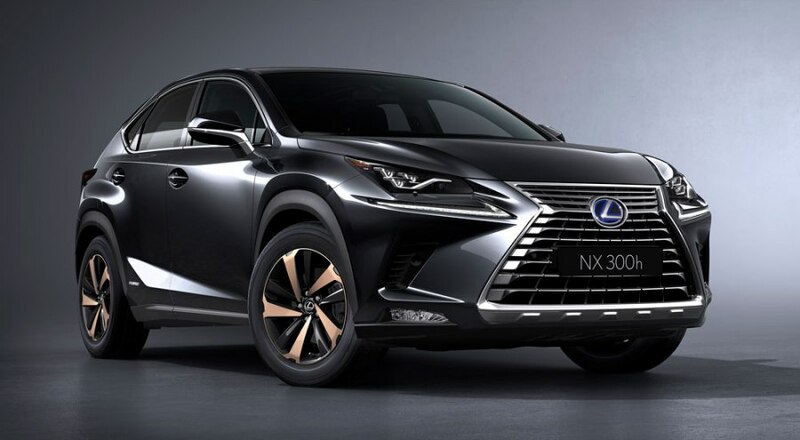 Lexus South Pointe has a wide selection of 2018 Lexus NX 300s ranging in colour and trim level. If you currently drive a NX 200t book a test drive today and experience the refresh for yourself. You can feel the details in every element of the drive.